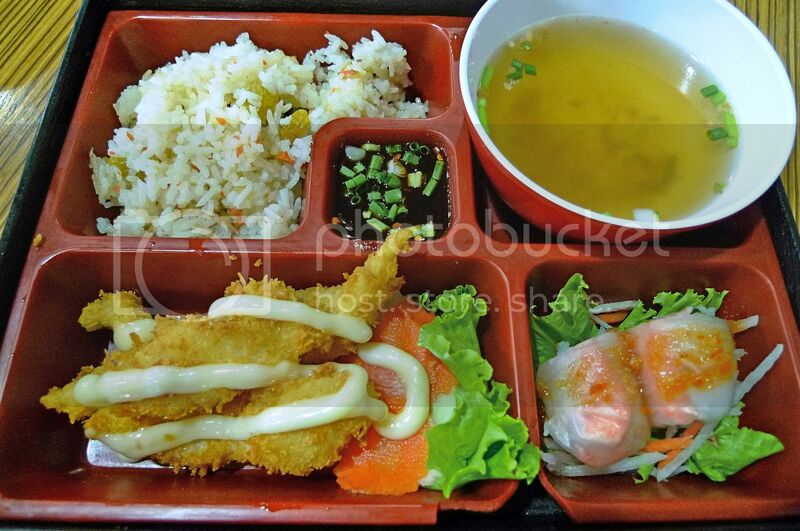 I think I like that set the best, tempura?? oooo... I wanna that som tum! You are far behind time bro..Cambodia will take you one year and Manila another year..?? Not to worry no need to blog after 2012. Oh love the tom yam goong..still do not know how to 'enjoy' shark's fin yet other than knowing they are crunchy and full of starch..hehe Kop khun krap. I bet that you will only blog about your Manila trip next year! If our food court had boiling water as what you see in BKK, the price for a cup of coffee will increase by another 20 sen. I like my tomyum very spicy and sour. if they lack any of these tastes, to me, it's a failed tomyum ahhaahah! 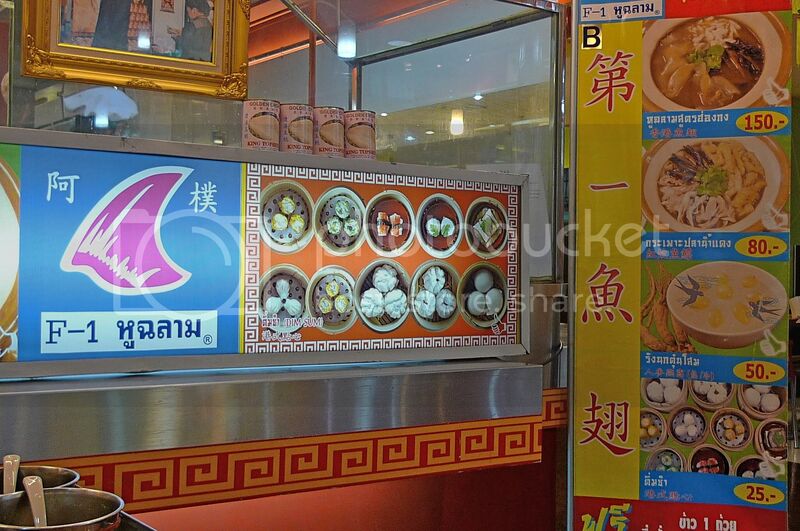 The tom yam goong picture... there are a few layers of dumpling like thingy. What's that? 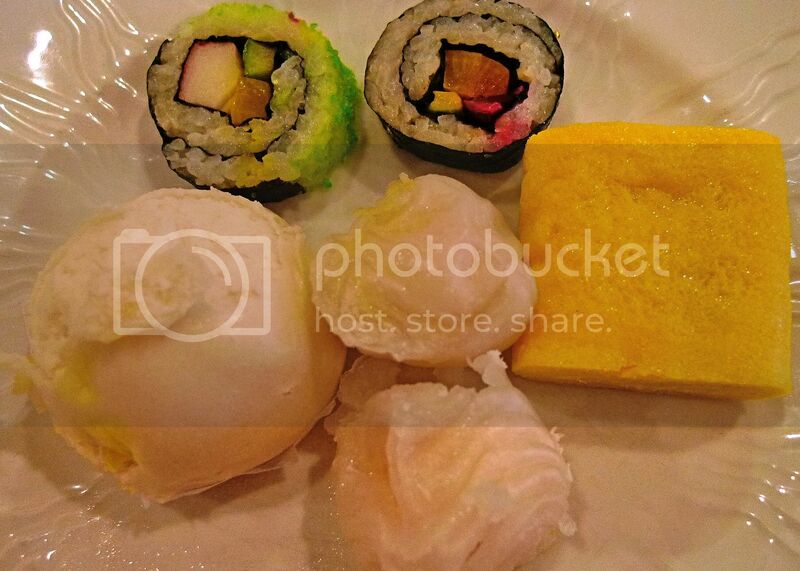 All the food looks wonderful leh. 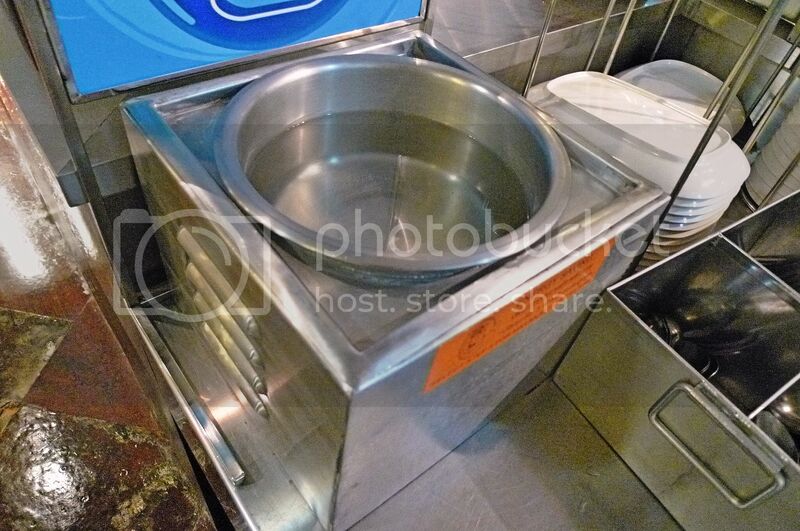 Nah I don't think we have hot water for washing utensil in food court here. Too bad hor. oMG!!! 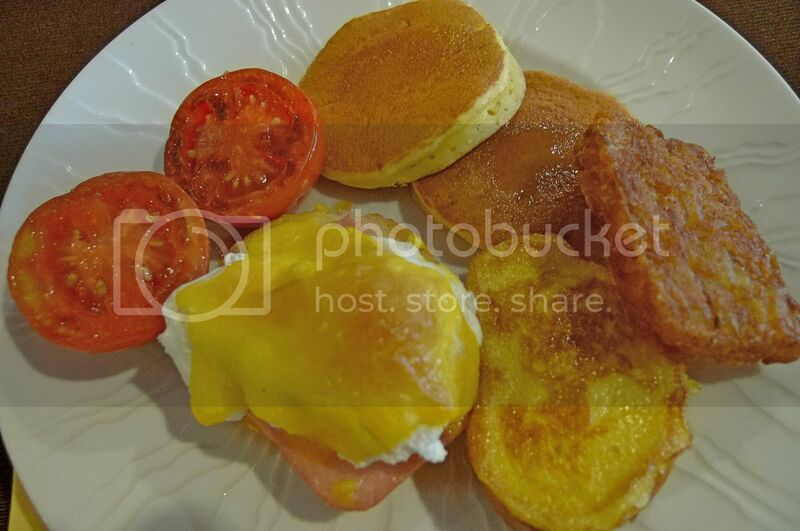 I'm so hungry looking at these pictures... and I've just eaten.. lol!! All good food! That meal on the red tray looks real yummmy! Hey, can't wait to read your post on your trip here in the Philippines! I just hope you had a nice time here. sorry, was out of my mind! wrote down my email ady instead of my username. yummy food..i like the idea of the water to disinfect. 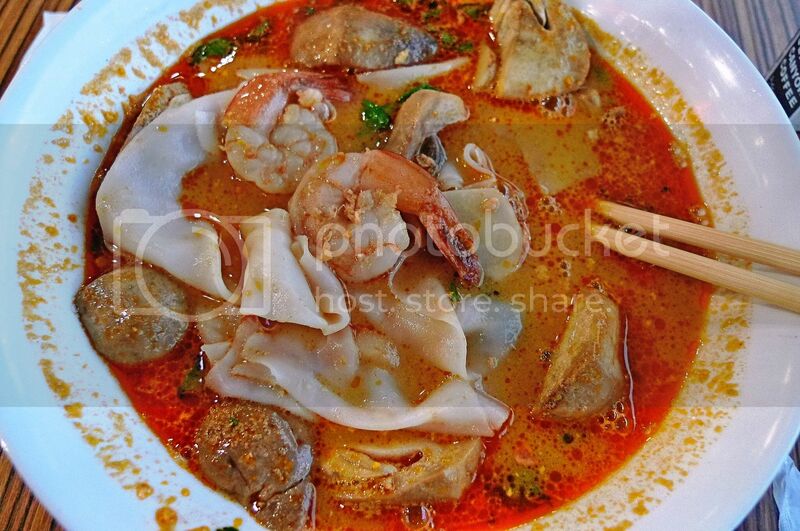 what is that kuey-tiaw-like thing in the tom yam goong?? are you sure that is tom yam goong or something else?? those i had has clearer soup and bigger prawns, and not so much of other ingredients leh..
but you just eat that happily huh?? 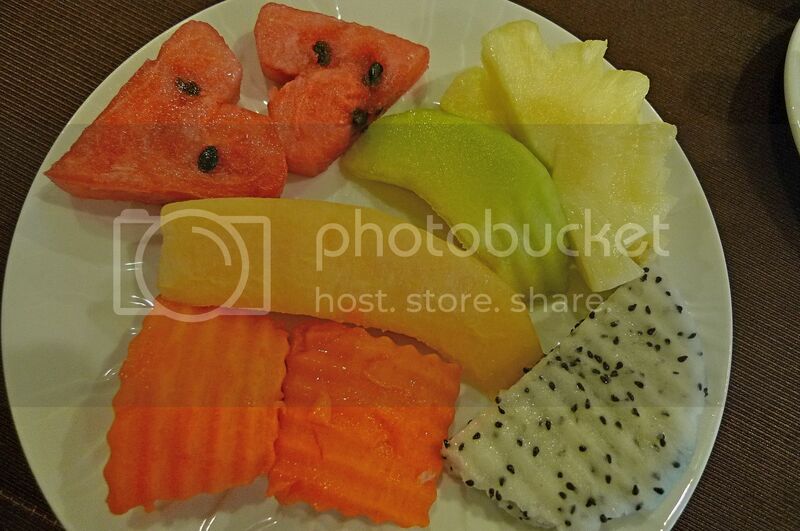 i remember we went to chinatown purposely for shark's fin.. there's this auntie who's very well versed in cantonese, really good service..
Aww....the watermelon is nicely chiseled huh! :p Love-shaped o. Speaking about tom yam...I am kinda hungry now. :D Hmmm...what were inside of your tom yam? What are those white stuff? That's many food you had tried in Bangkok! If I were in Thailand, I would try all sorts of their curries, i.e. green curry, red curry, white curry, you name it! Wow! You have traveled so extensively nowadays! Having just came back from Bangkok, you went to Manila! How was Manila? Ya, you still have our Cambodian trip to blog about. By the way, have you got done with your Bangkok posts? I bet you headed to the beach! 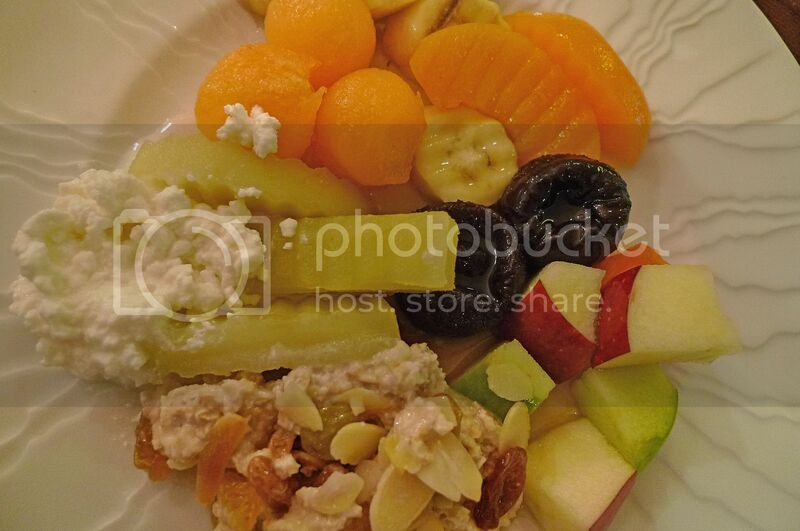 Anyway thew foods look yummy! what a delicious spread. hope you had a blast in Manila. And ya! 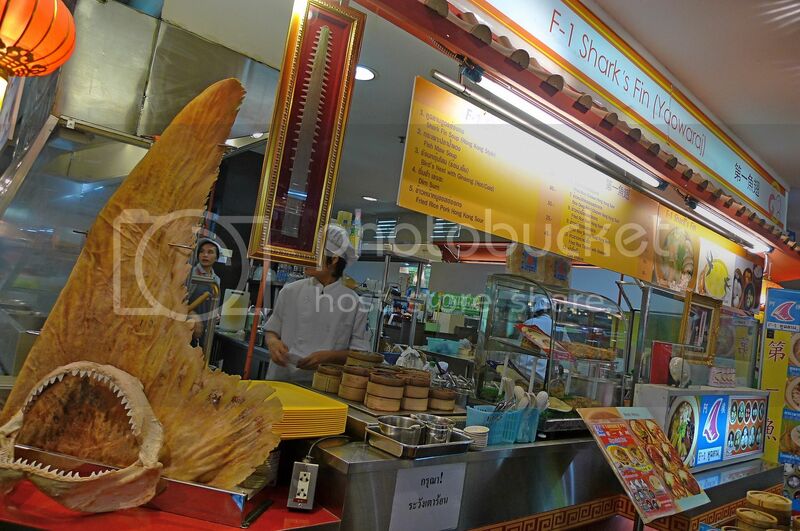 Hope our food court in Malaysia got the facility too! 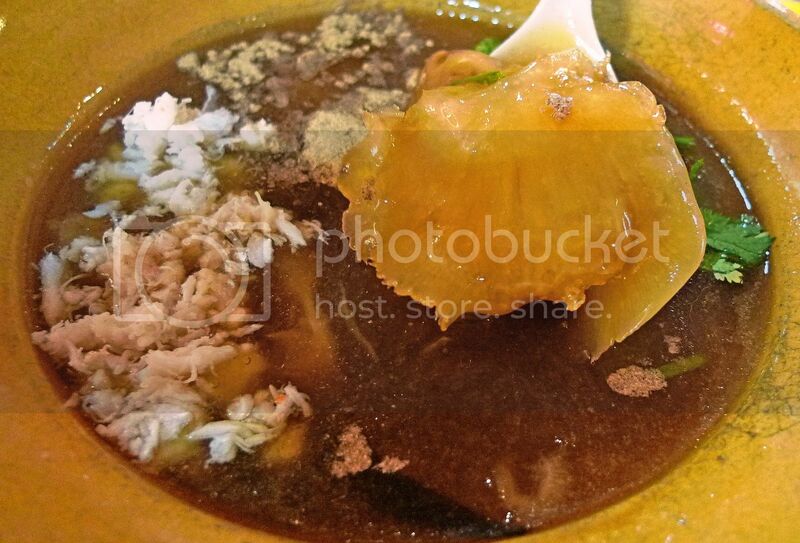 Cheap shark fin soup only RM 15. 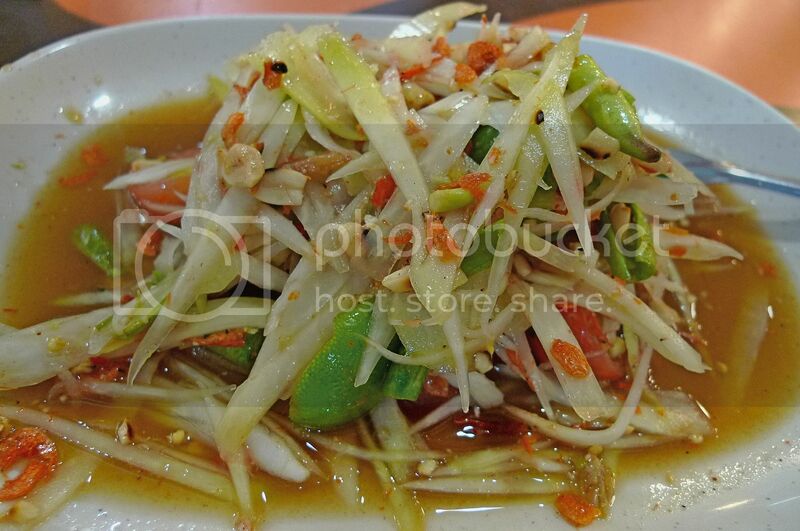 Apart from the above mentioned it is the colours of its festivals, sounds of its splendid natural wealth and the taste of its exceptionally delectable food that makes tours to Thailand so special. http://eliburan.com/bangkok-erawan-shrine/ Apart from all these there are many other favored destinations like Koh Chang, Phuket, Pattaya, Koh Samet, etc.